At our core, The Peace Poets are a family. We are family that makes music and poetry for the liberation of the human family. 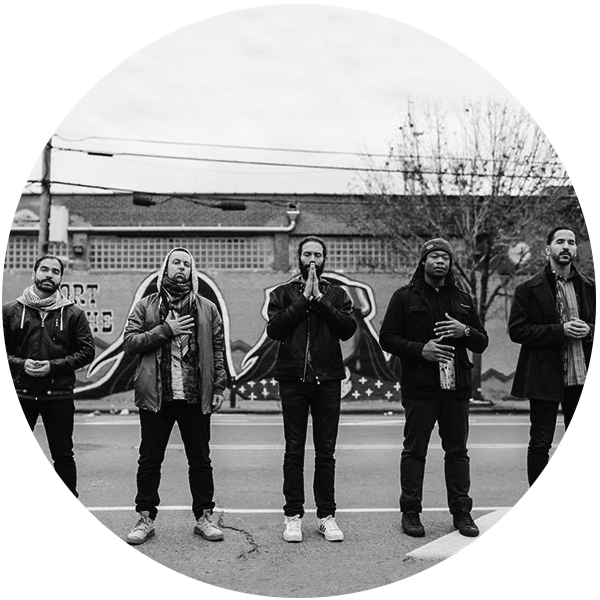 We are a mix of a rap crew and a humanitarian initiative, a blend of a rising artistic army of music makers who are making freedom songs contagious and five individuals who are just humbled by the opportunity to share our personal stories and listen to the stories of others. We are there. In between all that. At our core, we are five men who are living and learning through a commitment to love our people with music, words and actions. We want to reach the people in the hood and the people in the movement. We want to reach young people who listen to hip-hop. We want to reach organizers who are dedicating their lives to fight for human rights, just housing, immigration reform, police accountability, etc. We want to reach students. Of all races and genders and class backgrounds. To those who have an open mind. And we want to open our minds and eyes and mind’s eyes to really recognize our state of oppression and our path toward liberation.